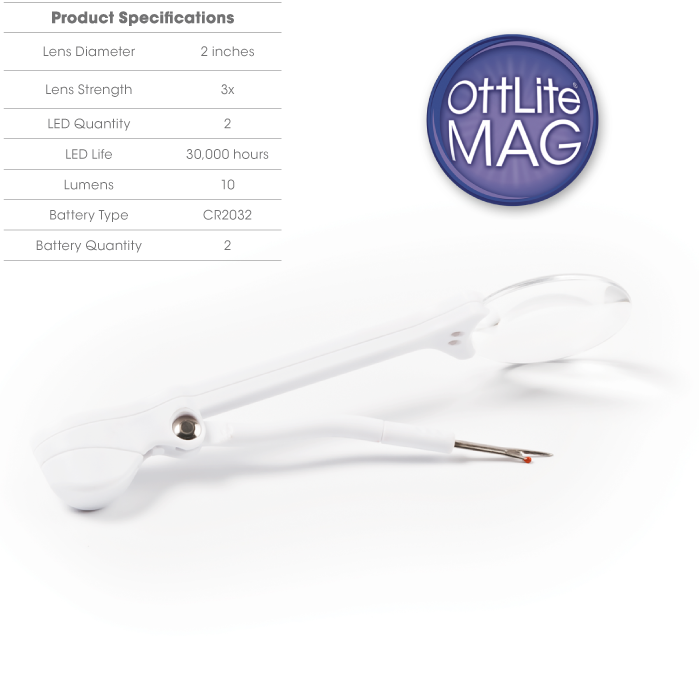 Super bright OttLite LEDs and magnification paired with a sharp, easy-to-use seam ripper. Great for sewing, quilting and embroidery, the curved seam ripper is ideal for opening seams and removing buttons without damaging fabric. 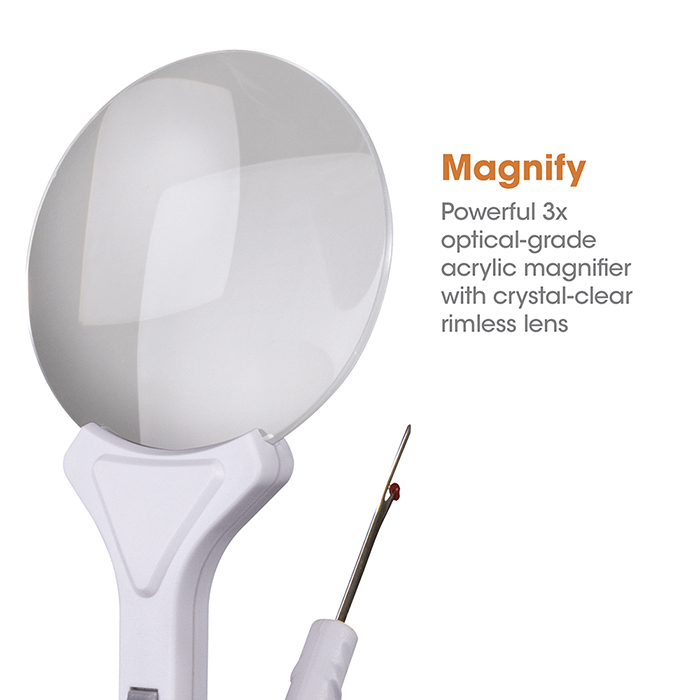 Plus, the smart seam ripper arm adjusts and ripper area rotates 360 degrees to get just the right angle under the lighted 3x optical-grade magnifier lens. You’ll see it all clearly!